Conference examines trafficking in U.S.
Home/Latest News/Conference examines trafficking in U.S. 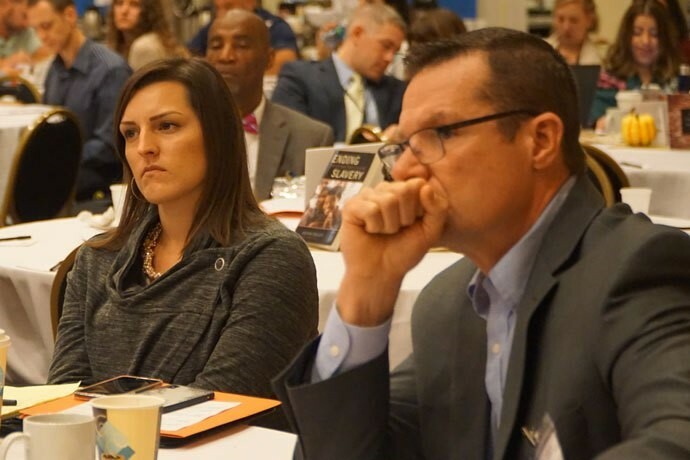 Individuals from 28 states and the District of Columbia gathered at the Galt House in downtown Louisville Oct. 24-25 to discuss and raise awareness about labor trafficking. “We have identified many labor trafficking cases in the community including in the Louisville area, yet awareness is incredibly low,” said Marissa Castellanos, director of Catholic Charities’ Bakhita Empowerment Initiative, an anti-trafficking program.